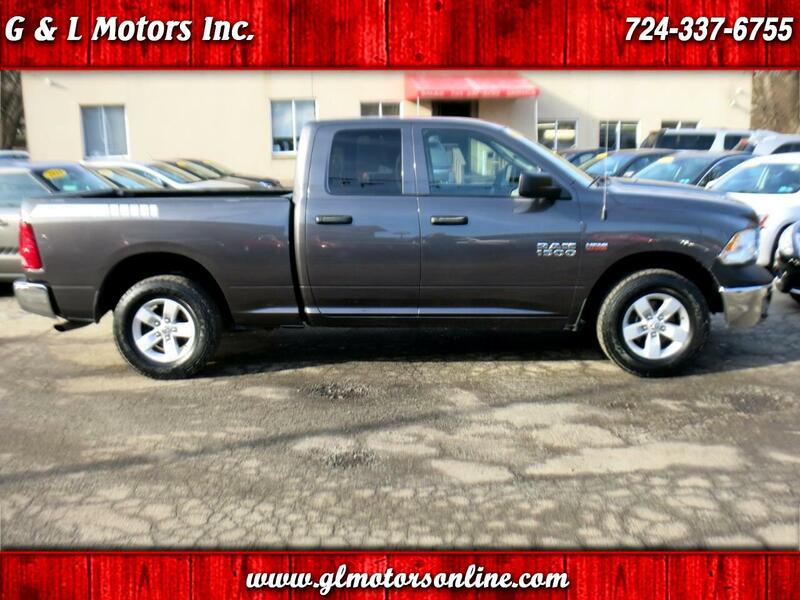 Used 2015 RAM 1500 4WD Quad Cab 140.5" Tradesman for Sale in Pittsburgh New Kensington PA 15068 G & L Motors Inc.
2015 Ram 1500 Quad Cab 4x4 Tradesman with HEMI 5.7L V8 engine, 17'' alloy wheels, traction control, factory tow package, 6800lbs GVWR, balance of factory warranty, accident free history 2 owner truck. Need financing? We have great rates and terms available and payments lower than you might think. Call (724) 337-6755 for more information or to schedule your test drive today! !